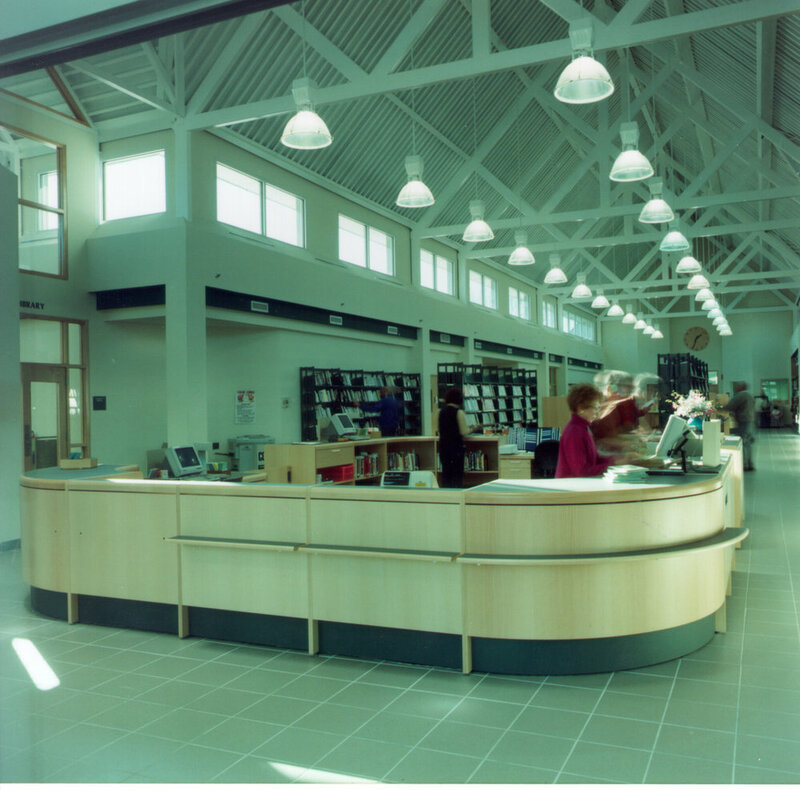 Completed in 1994 this 60,000 SF new building replaces the existing main library and branch library that had served the community of Farmingdale for over 50 years. The new building houses a main collection of 180,000 volumes. To organize this large collection, and to make the library more “patron friendly”, wide aisles with seating and high clerestory windows dissect the stacks placing seating closer to the collection and bringing day-light into the interior of this large building. A high, two story central atrium ties all of the diverse programs together. The advancement in technology led to a complete renovation of the library designed by our firm and completed in 2012.